One fascinating aspect of Microsoft’s registry is that each successive Windows version brings new features to tweak. 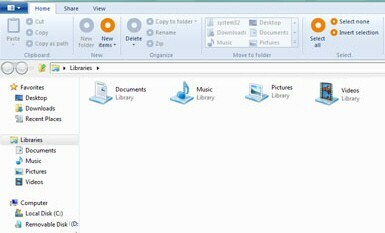 Here are examples of interesting Windows 8 regedit hacks. Please note these are from early beta versions, and may not be relevant to the RTM or even the customer preview version. This page assumes that you have a good grounding in regedit. Nevertheless, do remember the golden rule, at least export the branch you intend to working with before you start. The task manager has only seen cosmetic improvements since the days of Windows 95, but here in Windows 8 is a radical redesign. 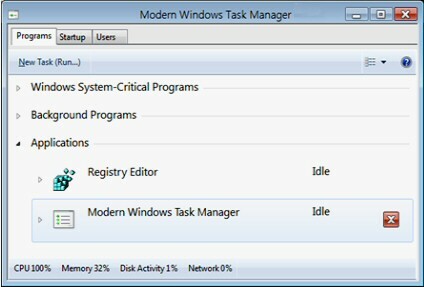 This Modern Windows 8 Task Manager not only lists which applications are running, but also which are idle. It may be my imagination, but it now seems easier to kill programs than previously. This is a registry hack for an early Windows 8 beta. Old Tip: If you like this tweak remember that Regedit has a ‘Favorite’ tab, just like explorer, to make it easy to find places in the registry. Note: Don’t start in HKLM, launch Regedit and navigate to HKEY_CLASSES_ROOT. Change: RPEnabled from 1 to 0 (zero). The old start menu appears immediately in Windows 8. However, if you change RPEnabled back to 1 I had to logoff / logon before the Metro UI returned. The big mistake is to go to the HKLM, here you need the Current User see above screen shot. See more new Windows 8 features. Check the logic 0 (zero) means the the Windows Task Manager is enabled. Numeric 1 means Disable TskMgr. Note 1: If you are trying to DISABLE a Windows Task Manager then you may need to create a System folder and then create the DisableTaskMgr DWORD value. Note 2: You need to reboot for this setting to take effect. Windows 8 contains a native webcam.exe application. This is a clear indication that Microsoft is working to tightly integrate webcams into the new operating system. Create a DWORD value called "RemoteFontBootCacheFlags"
Spot the registry hack in GodMode. Starting with Vista Microsoft reversed the capability to access shares such as C$ and Admin$ that were built-in to XP. Set the value to 1. Many regard this setting as opening up your machine to remote hackers, thus research this setting before you impliment. See more about Windows 8 administrative shares. The safest way of all to experiment with the registry is on a test machine, because in the worst case scenarion you could re-install Windows 8 if you (we!) make a terrible mistake, and there would be no data loss. 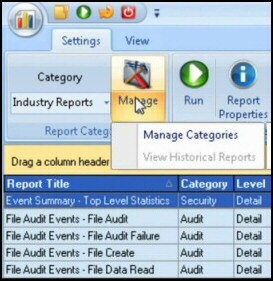 Click and select ‘Run as administrator’. Note 1: Unlike other Windows executables, if you type just the first few letters, for example: ‘reg’, Windows 8 does not display name of this program, you have to type the full name – regedit.